An appreciation for wine and spirits started while Kristine was attending the prestigious Culinary Institute of America in Hyde Park, NY. Graduating with a Culinary Arts and Advanced Pastry Degree, she worked in one of DFW’s most famed hotels before returning to school for her B.S. in Business Management from The University of Texas at Dallas. From there Kristine has worked as a Research and Development Chef in international operations for multi-unit restaurant companies and as R&D director for commercial bakeries. Here Kristine honed her professional skills for meeting client’s needs and for an attention to detail. Kristine Kyriakides Mohr started Bev Pro in 2008 with the idea of delivering her clients a service oriented marketing tool to grow their sales and brand recognition. Realizing that her clients have very busy schedules, Kristine wanted to offer them an opportunity to know that their staffing needs would be met for demos, tastings, special events or any of their consumer marketing needs. With these ideals, Kristine has led BevPro’s growth into the DFW market as one of the most professional marketing/demo companies in North Texas. Kristine isn’t all work. She enjoys tennis, fine dining and spending time with family. 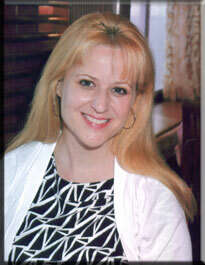 Kristine has lived in Texas for over 15 years, originally from the Chicago-land area. She is married and calls Allen, Texas home.